Life According to S: V-day week. Oh Valentines Day how i love you! Always have, always will. Ever since my mom would throw my friends and me special pink valentines breakfasts before school, i've loved it. French toast...pink hot cocoa... and cute valentines gifts. She's the best. Anyway... this year, Devin sent me some gorgeous flowers. Luckily ESPN had a special promo code he heard about, so I got double the flowers! Thanks ESPN! I owe ya one. Valentines night, we went to Cheesecake Factory downtown. It was delicious as always, and we sat down immediately. I was shocked! Cheesecake Factory at 6 pm on Valentines Day? Totally lucked out! Recently we have been babysitting for a lot of families in our ward. It's so fun--especially when we get to watch cute kids like this little guy. He loves Devin. This baby's sister on the other hand, did not love Devin very much and was scared of him so naturally, she hid in her room the whole time and ended up falling asleep at 6. whoops! Saturday we went on a nice walk through the parks nearby. 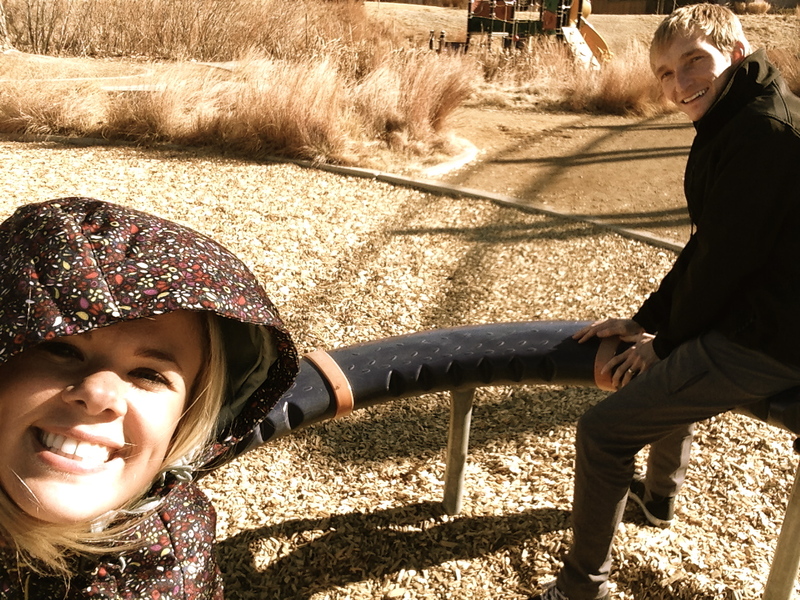 We had fun on this merry go round and Devin made fun of me for wearing my gigantic winter coat in 50 degree weather. 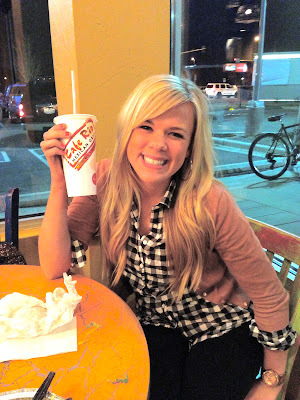 Saturday night we went to Cafe Rio and then to the mall. So much fun, but i'm not totally impressed with the Cafe rio here. The poor workers had no idea what they were doing and kept messing everything up. We ended up getting a free meal even though we didn't have our card full ? It made me miss the Rio's in Utah. And sunday I gave a talk in church that was 20 minutes long! That is soooo long, but I'm so proud that i did it and it wasn't even that scary--even though I had a panic attack in the car on the way over and couldn't breathe. Poor Devin thinks i'm totally nuts.